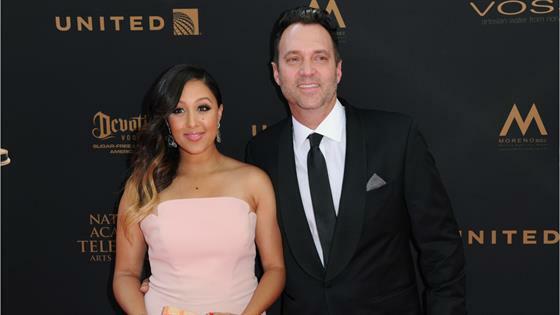 Tamera Mowry-Housley is mourning the loss of her niece, Alaina Housley, who was killed in the Borderline shooting. The actress and TV show host of The Real announced Alaina died on Thursday afternoon, following a frantic search for the Pepperdine student. "Our hearts are broken. We just learned that our niece Alaina was one of the victims of last night's shooting at Borderline bar in Thousand Oaks," Tamera and husband Adam Housley said in a statement issued to E! News. "Alaina was an incredible young woman with so much life ahead of her and we are devastated that her life was cut short in this manner. We thank everyone for your prayers and ask for privacy at this time." Promptly after confirming their niece's death, Tamera's co-hosts sent messages of love and support to her and her family. Loni Love wrote on Instagram: "Unfortunately Alaina was one of the victims in the mass shooting.. please keep The Housley's in your prayers at this time. Positive thoughts and prayers to all the families right now waiting to hear about their loved ones from the #borderlinemassshooting"
Likewise, Jeannie Mai and Adrienne Houghton shared their condolences on their Instagram Stories, asking for well wishes and prayers from their followers. And in a statement from The Real, the team at the show sent their love. "The Real is heartbroken for the victims of the senseless tragedy in Thousand Oaks, which included Alaina Housley, the niece of Tamera and Adam Housley," the statement read. "We send prayers and strength to all the victims' families and their community as well as our gratitude to the first responders. We send all our love and our deepest condolences to the Housleys, our family, during this difficult time." Alaina, a freshman at Pepperdine, is among the at least 12 victims killed at the Borderline Bar and Grill in Thousand Oaks, Calif., where a student line-dancing event was being held. Tamera and Adam were made aware of their niece's potential death early Thursday morning, after a friend of the teen tweeted about needing help locating Alaina. Los Angeles Times reporter Andrea Castillo wrote on Twitter that Adam then drove to the Los Robles Regional Medical Center searching for Alaina. "A guard didn't let him through, saying it was on lockdown. He said Alaina, a Pepperdine freshman, was at the bar with several friends. Her Apple Watch and iPhone still showed her location on the dance floor," Castillo tweeted. According to Castillo's tweet, Housley explained his niece's suitemates had jumped through a broken window to escape and are now in a hospital with glass injuries. In the hours since the tragedy, law enforcement officials have identified the shooter as 28-year-old Ian David Long, a Marine Corps veteran. He reportedly shot himself at the scene of the crime.